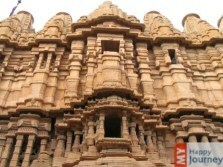 Jaisalmer, a desert city of past has now been transformed into one major destination for tourists of India. This is situated in the middle of the picturesque Thar Desert, and the city of Jaisalmer embraces a premiere position amongst the tourist attractions speckled all over the Rajasthan. 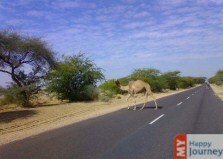 Jaisalmer is visited not only by Indians but foreign tourists as well. 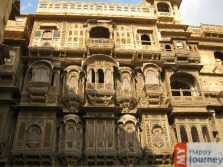 This astounding city of Rajasthan has different facets to explore. The historical monuments which are scattered all over the city undoubtedly holds a foremost position in the tourist attraction list. 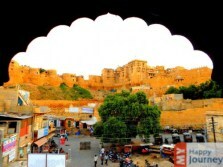 Jaisalmer Fort is undeniably the main place which commands your attraction. The dominating edifice is made up of sand and is known as the Sonar Quila. 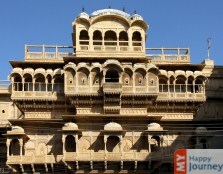 Among the long list of must see places in Jaisalmer, Nathmal ji ki Haveli and Salim ji ki Haveli are the most prominent. There are many other monuments, which also deserve a visit because of their distinctive and individual structural design. 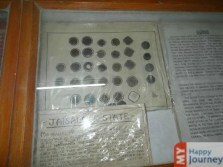 Some of the other popular tourist attractions are Laxminath temple, Jaisalmer Folklore Museum, Government Museum, Jaisalmer fort palace museum, etc. If you think you had enough of architecture argots, then also this versatile city will never disappoint you. Gadsisar Lake is an ideal place for to take a close look of the migratory birds as they cuddle in ardent flight, and to a have an enhanced insight of the Rajasthan culture you can visit a Desert culture center. The blend of primeval and the medieval epoch architecture this will leave you spellbound. 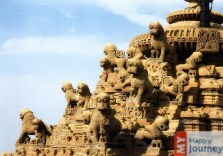 And you can let your eyes embrace the inclined sand dunes while you wander your city visit in a camel safari. 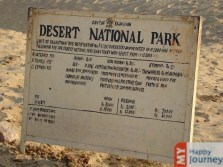 The desert fortress is really a golden dream in the Thar Desert. The name Jaisalmer stirs up the absolute enchantment and vivacity of the desert. The warmth and love of people in spite of antagonistic territory makes the whole experience simply awe-inspiring.